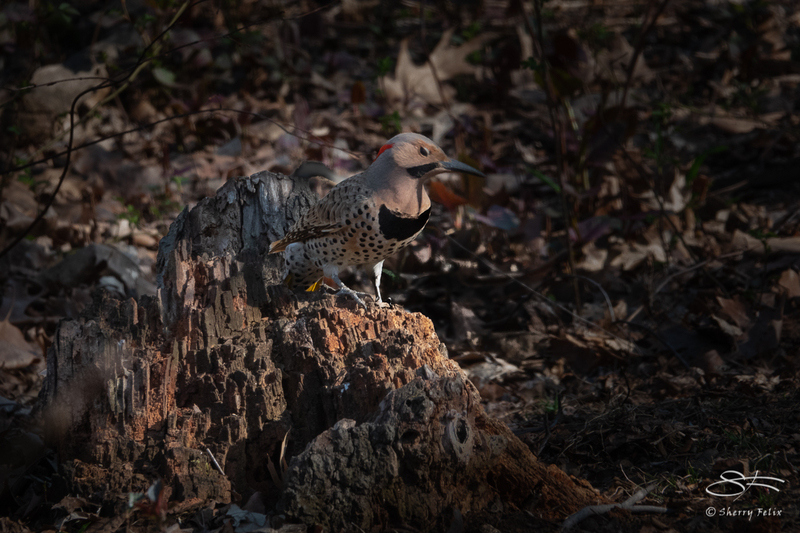 The Northern Flickers are migrating through New York. Their yellow shafted wing feathers and white rumps flash brightly when they fly. This one winked at me. Great to see such different coloration than we have out west! Your Flickers have red shafts. Flickers don’t interbreed. 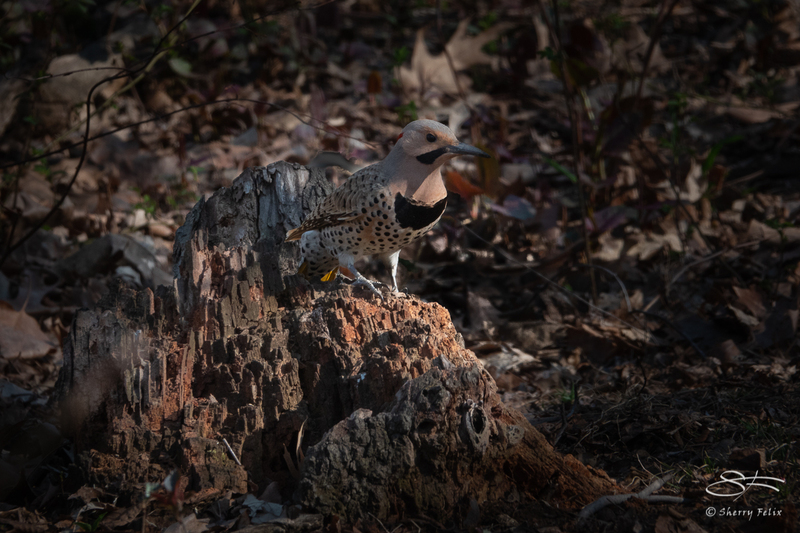 Wonderful to see these elegant flickers on their way through Central Park. Your photos are beautiful, Sherry, capturing their myriad of markings with much clarity. I smiled to see the second one “winking” at you. Thanks Jet. I like my new light weight Sony RX10 IV with 0.03 s. AF/25x optical zoom.